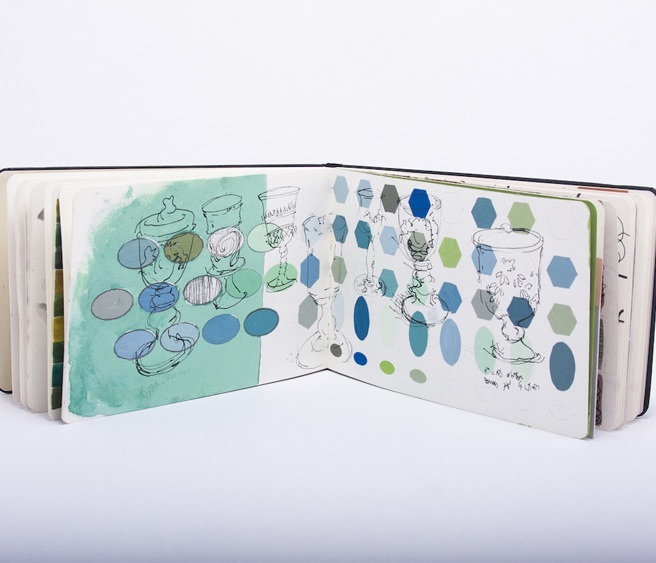 A sketchbook is a way to explore what’s unique about how you see and respond. This workshop uses a sketchbook to enhance your ability to generate ideas and think critically about your work. We’ll begin with a non-evaluative approach, working with little planning, responding to mark-making and writing prompts. Varied materials – gouache, colored pens, markers – will be used to develop an open, reflective sketchbook practice. We’ll also consider how to articulate and refine ideas for subsequent studio work. You don’t need to know how to draw to benefit from this workshop. Both novices and experienced sketchbook keepers are welcome. Susan Moss has been marking on surfaces since a child: on paper table cloths, fabric, archival paper, large and small. Her work has been exhibited in over eighty venues. At Fort Lewis College (Durango, CO), she teaches all levels of drawing, contemporary textile art and seminars focused on developing and articulating visual ideas.